Culinary Historians podcast – yours truly talks chocolate! 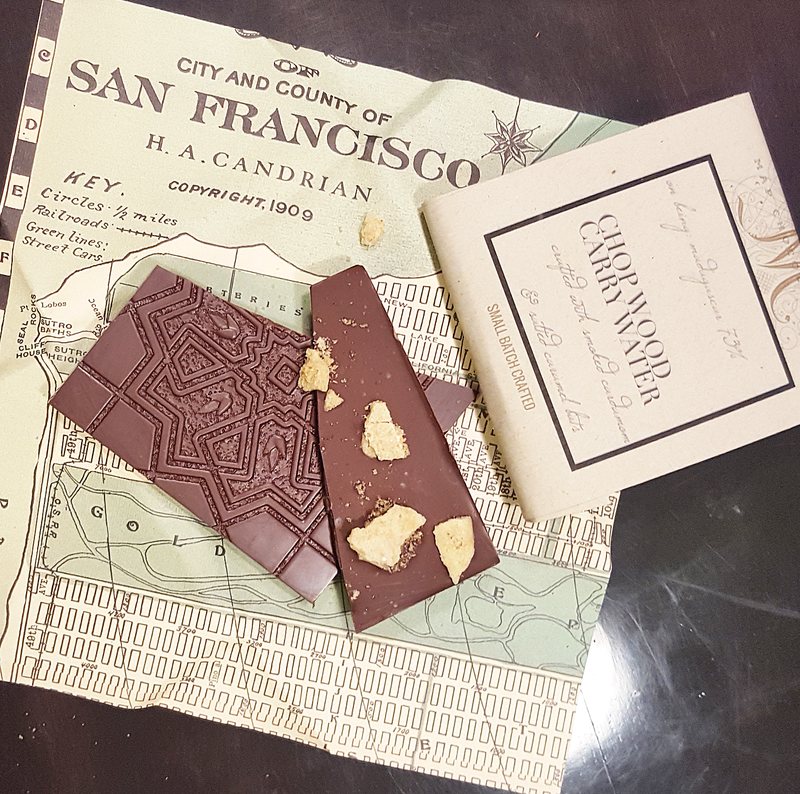 Here’s some of the delicious craft chocolate and specialty cacao we tasted at my talk for Culinary Historians – click for the podcast! Need a lift? The awesome group Culinary Historians of Chicago just uploaded the podcast of the upbeat chocolate- and giggle-filled talk I gave for them in September 2017, and here it is! Need a talk and tasting for your group? Here are some details! After the Culinary Historians talk, with my Kendall College student helpers! Do you remember the book of the month club? 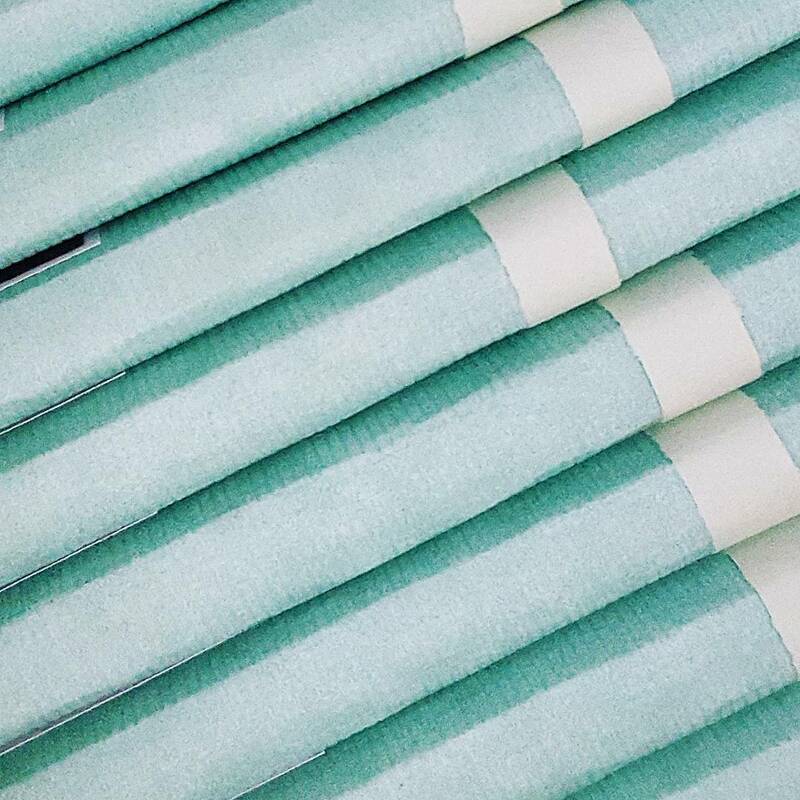 Are you into the contemporary subscription services, for makeup, or dog toys, or other items? It’s fun to receive something new that you love, and to take a journey to a new adventure through this new discovery, isn’t it! I’ve wanted to start a chocolate of the month club for quite some time, and even did for a short time back in 2007 while the 1.0 version of the original chocolate tours I founded in 2005 was running. 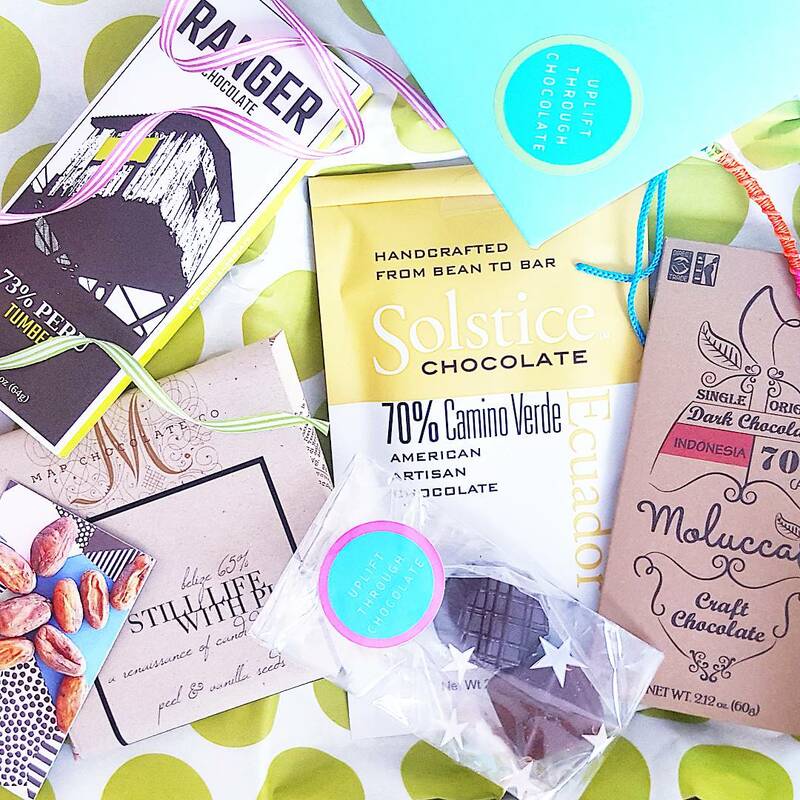 The timing has finally proved right, and I recently launched the Chocolate Uplift craft chocolate subscription box, which gives you 4 top-notch chocolate bars per month, always sustainable and child-slavery-free, soy-free, small-batch, and scrumptious! 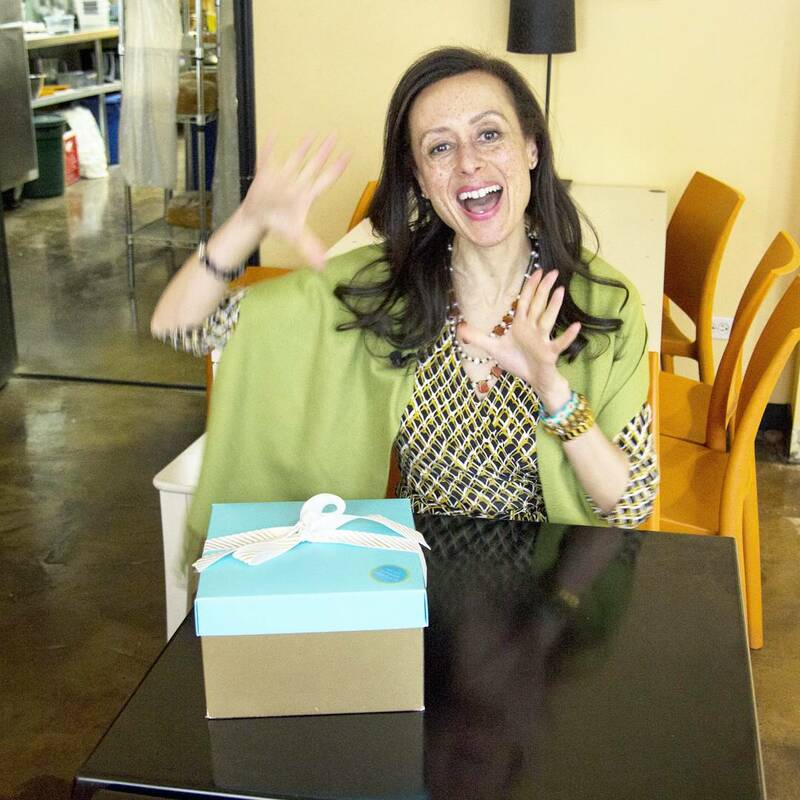 I’ve met and connected with so many innovative chocolate makers over the years, as the chocolate revolution moves forward, and it’s a blast to connect you to their delicious artistry through the box! In addition to selecting these special and sometimes hard-to-find bars for you, and choosing the packaging and monthly theme, I donate a meal to the children of CREER Africa for every box sold, as the kids are reintegrated into health and life after being trafficked onto the child labor cacao farms in Ivory Coast that supply big chocolate brands. This one-to-one give came about when I asked the CREER founder what she needed for the kids, such as books, toys, or shoes. She said that the rescue center needs food, rice for the kids. So that’s what we give. 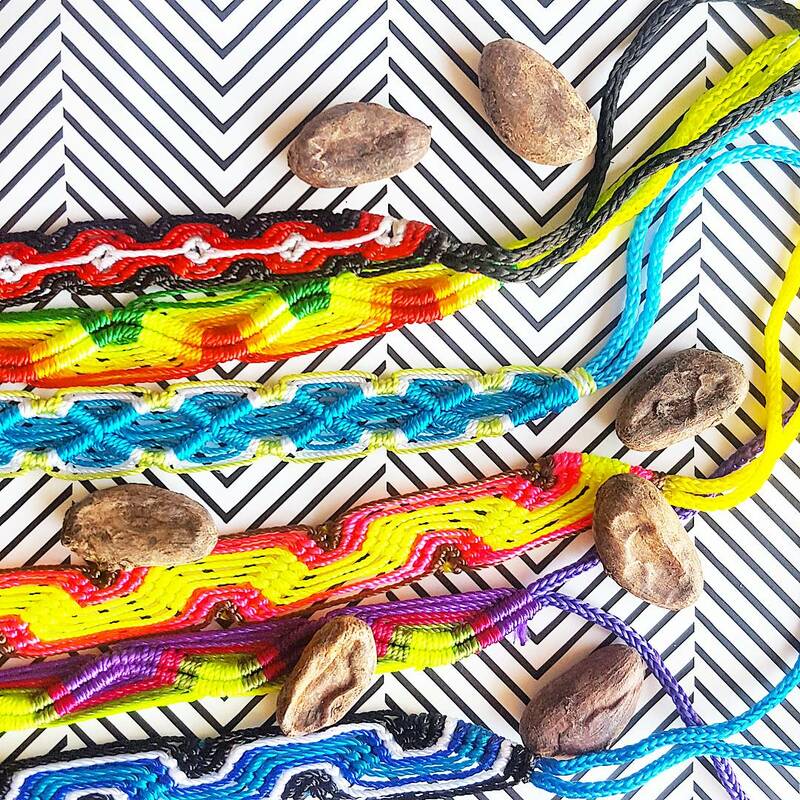 The boxes also contain a friendship bracelet from Peru, to honor the heritage of cacao, and to say an extra thanks from me to you. 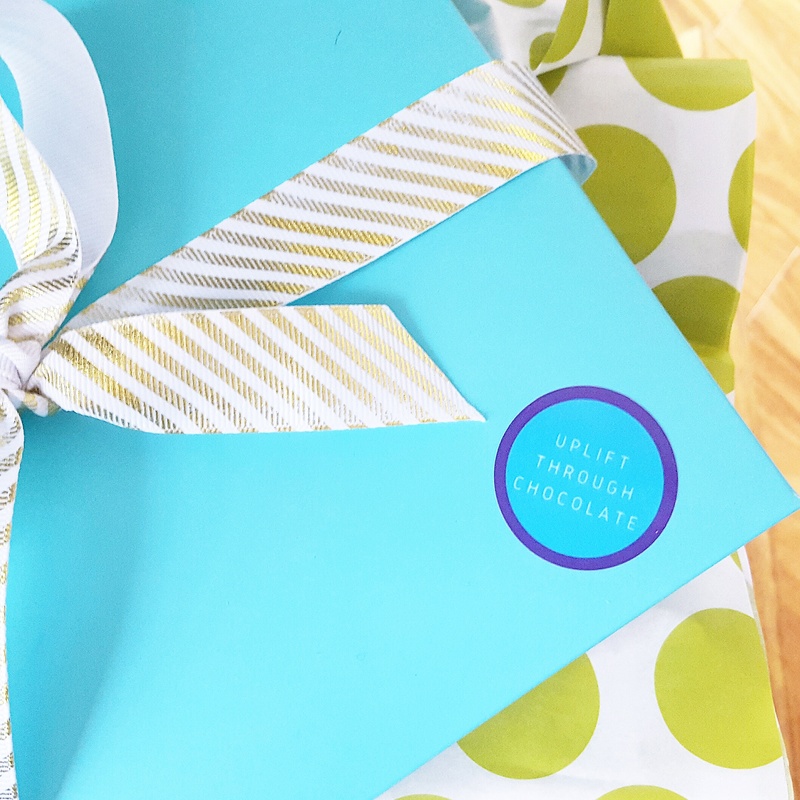 You can receive boxes quarterly, monthly, or one-and-done, for yourself or a gift, for a journey through chocolate. Click for my latest unboxing video to see what was inside the March 2017 box and hear me share some backstories about the chocolate, cacao, or chocolate makers. Thank you, and keep eating real chocolate! Do you call filled chocolates “bonbons” (technically any filled chocolates), “truffles” (chocolates filled with ganache), or chocolates? Or do you just call them delicious! Selecting my favorite chocolate bar, chocolate bonbon, and chocolate beverage of the year is never easy, because I get to taste so many wonderful creations by so many talented and hard working people. I first encountered Chocolatasm on Instagram. The business is run by chef and chocolatier Paul John Kearins, an Englishman in Blue Ridge, Georgia, and it was chocolate love at first chocolate sight. I was intrigued by Paul’s unique flavor combinations like the blueberry sesame confection (in my photo above), and also by the pristine and well-organized kitchen in which he takes enticing snapshots of his chocolate artistry. I had to learn more, and reached out to Paul, who proved as kind, generous, and humorous as he is artistic, accomplished, and professional. When I tasted Paul’s creations, it was even deeper love at first taste, due to unique and thoroughly successful flavor combinations, plus superlative chocolate! Paul has started collaborating with marvelous Mackenzie Rivers of map chocolate of Oregon (see my photo above), in that he uses custom bean-to-bar chocolate by map as the couverture for his bonbons, instead of using an often very delicious yet more common or commercial type of chefs chocolate. This partnership gives his chocolates exciting new dimensions, because his brilliant flavor combinations get to dance with truly unique chocolate. 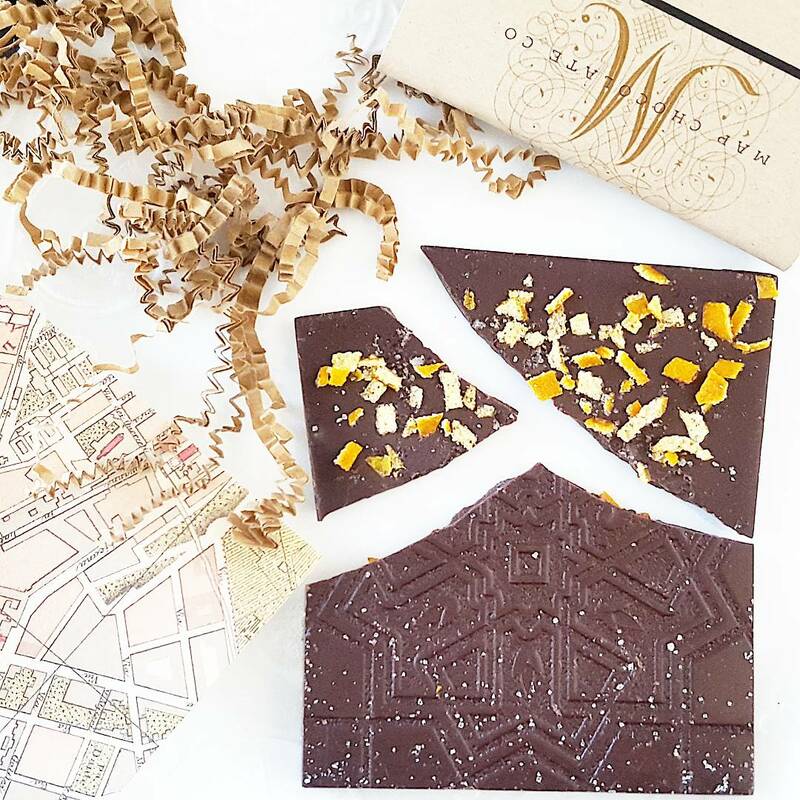 Moreover, map chocolate is made with traceable cacao, free of child slave labor in the supply chain. And it contains no soy lecithin, so the taste is more immediate, the texture is richer without slickness, there are no solvents present like hexane or acetone, and the health benefits are uncompromised! All of this is critically important to Paul of course, who selects his chocolate with great care, and matches it to his flavor combinations with delicious thoughtfulness. As an example, Chocolatasm’s smoked pear truffle in Peru 45% milk chocolate (photo above) plunges you into layers of rich flavor. The milk chocolate adds a wonderful tang, while graciously sharing the stage with smoked pear. A sommelier client and I selected this bonbon for a Port pairing because the deep flavors of the truffle absolutely sang with a vintage port. I asked Paul how he thinks up flavor ideas, and he described how he has always had access to a rich cache of olfactory memory. He can remember smells and flavors from the past, and can perceive in his mind how to combine them in new ways. Paul was born in London, worked as a chef and chocolatier there and in Amsterdam, and now lives and creates in the US, 90 miles north of Atlanta in a town located within the gorgeous wooded mountain landscape of the Chattahoochee Forest. 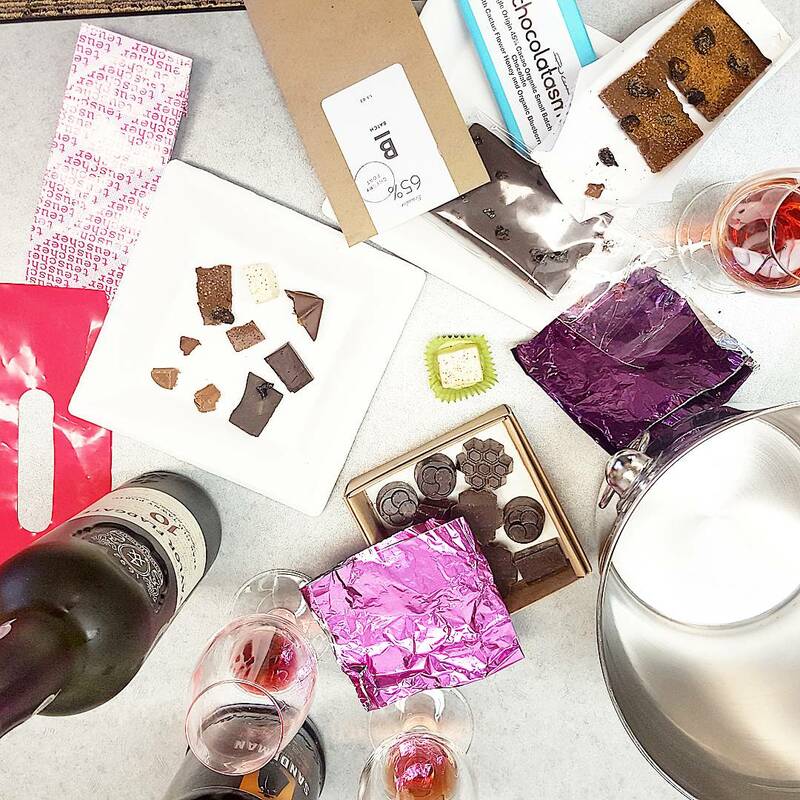 Paul’s history and memories provide such a benefit for us, the chocolate lovers, who get to enjoy Chocolatasm delights such as strawberry balsamic truffles with black pepper, or cranberry cabernet chocolates. I look forward to writing another photo-filled blog post about Chocolatasm after I visit Paul’s beautifully situated kitchen this spring! 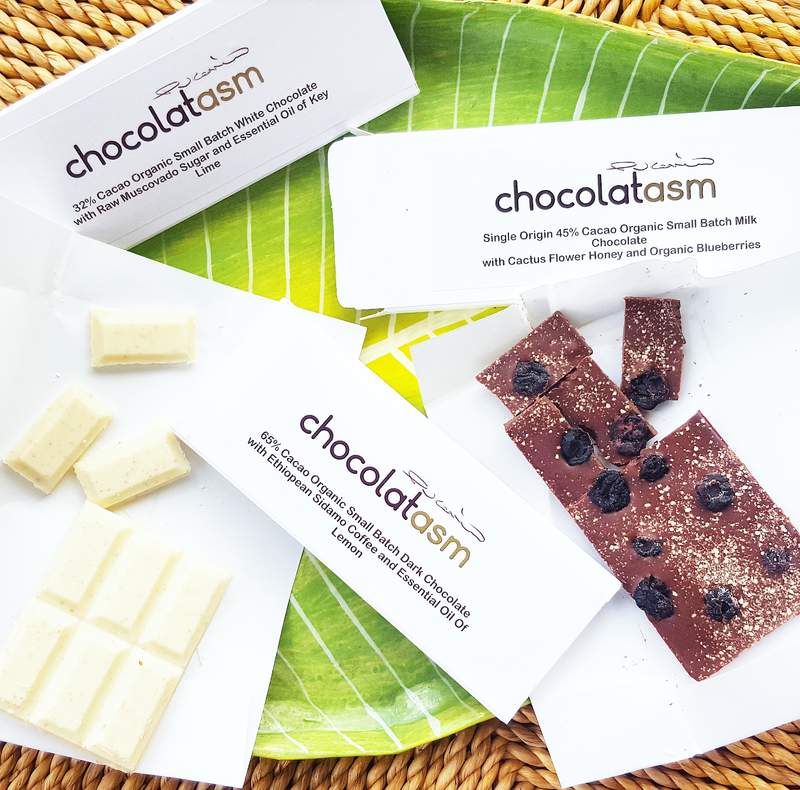 As enthusiastic as I am about Chocolatasm’s bonbons, the chocolate bars are also exciting and innovative! For example: dark chocolate from Honduran cacao with Ethiopian coffee and lemon, or a white chocolate with muscovado sugar and lime that turns people who think they don’t like white chocolate into people who realize they’d simply never tried the right or real white chocolate! Could the bars be part of a forthcoming Chocolate Uplift craft chocolate subscription box? In the meantime, here’s to Chocolatasm, my 2016 bonbon love, where craft couverture meets endless imagination, international perspectives, and top chef professionalism, for new journeys into deep deliciousness. 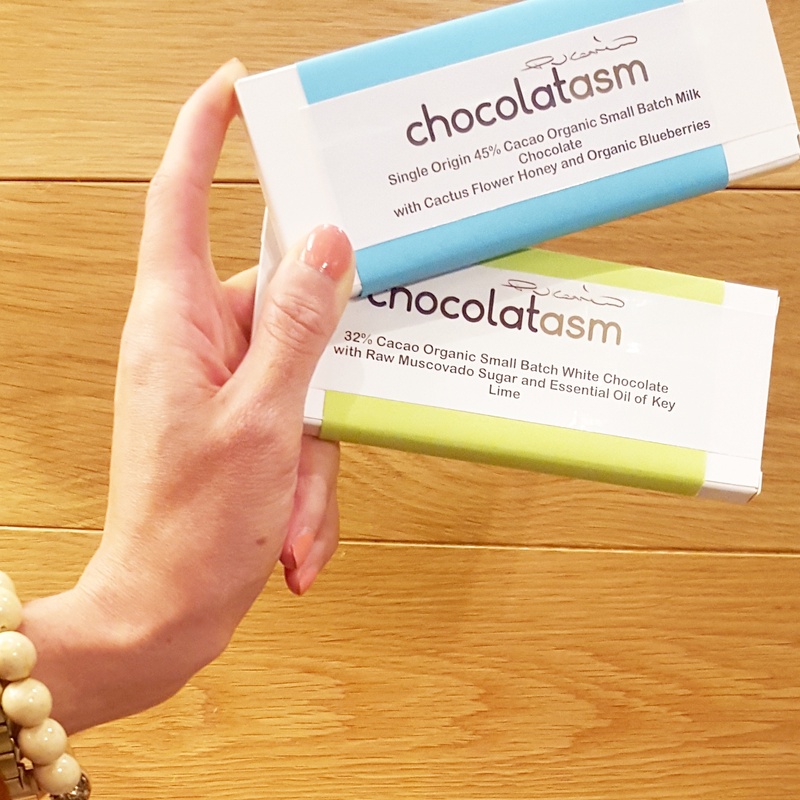 Whether you call chocolates “bonbons,” “truffles,” or “chocolates,” Chocolatasm adds a new word of love to the chocolate lexicon! Click for my 2015 picks! Onward and upward into a 2017 filled with love and light, taste and delight! How about love at first taste? I’ve experienced both – including in chocolate! I love it when I read a chocolate bar label that lists a cacao origin, and clean ingredients such as just cacao and sugar. The cacao origin – such as Ecuador, Guatemala, Belize, Madagascar, etc. – tells me where the cocoa beans came from that made the chocolate, just as a wine labels tells you what vineyard in California or Chile or France grew the grapes. If the bar doesn’t list a cacao origin, as most commercial big brand chocolate bars do not, where is this mystery cacao from? No mystery: most likely the commercial cacao came from Ivory Coast, where around 70% of the world’s cacao comes from, and where 2.1 million children work in hazardous conditions on cocoa farms instead of going to school. Hence, my #chocolatefreedomproject. 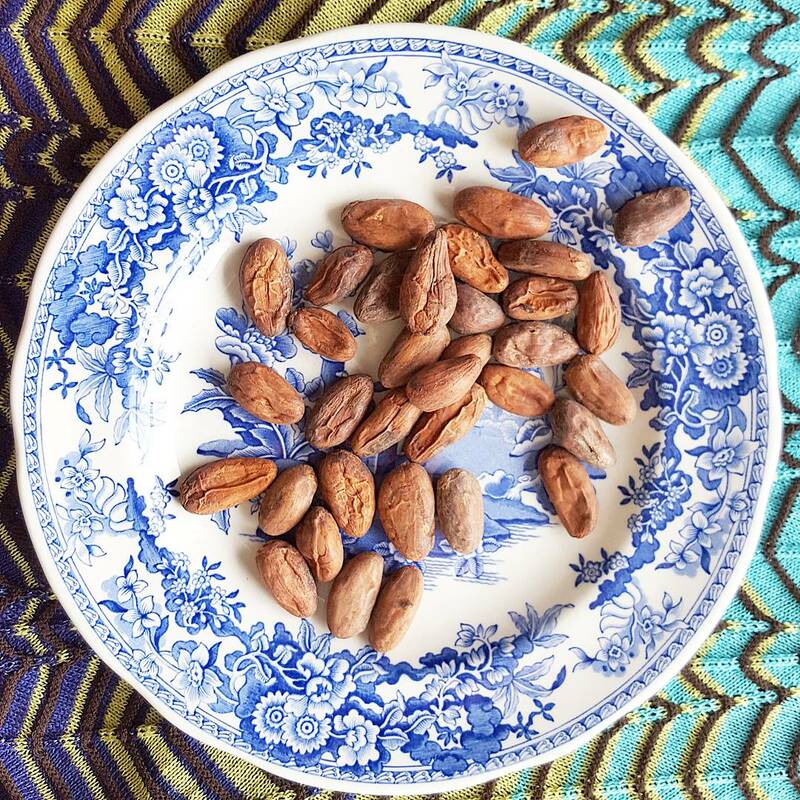 By contrast, when chocolate makers purchase cacao for quality instead of quantity, and pay sometimes 5 times the price of bulk cacao, they are proud to list the cacao origin on their label, and to encourage us to get to know that origin and their particular artistry using those particular cocoa beans. I love reading a clean label, with no soy lecithin, vanillin, unpronounceables, abbreviations, or dissimulations, such as added “flavors” which whether natural or artificial could be derived from anything and could be processed with unlisted solvents. And love at first taste! Isn’t it magical when something tastes so amazing that it seems to stir memories of past and future, while focusing your attention deeply into the present moment, so that all else falls away? 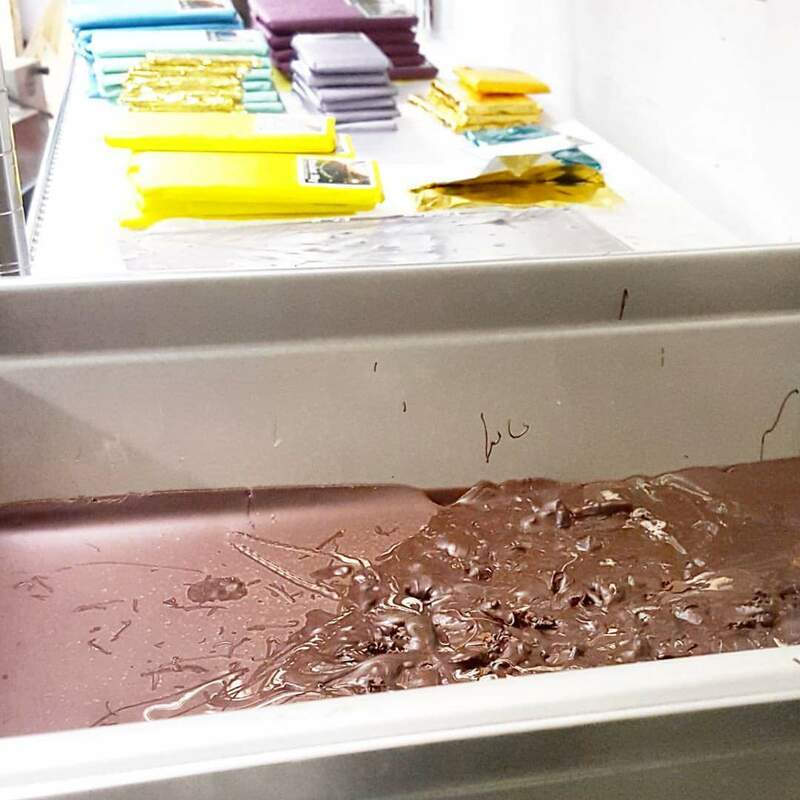 If you want to see hundreds of chocolate items I loved in 2016 – from so much artistry and scrumptiousness I got to sample at trade shows, festivals, competitions, shops, cafes, and my office – please see my Chocolate Uplift instagram of daily chocolate! Applause and gratitude to all of the amazing chocolate makers, entrepreneurs, and professionals who contribute such amazing artistry and are part of the chocolate revolution! 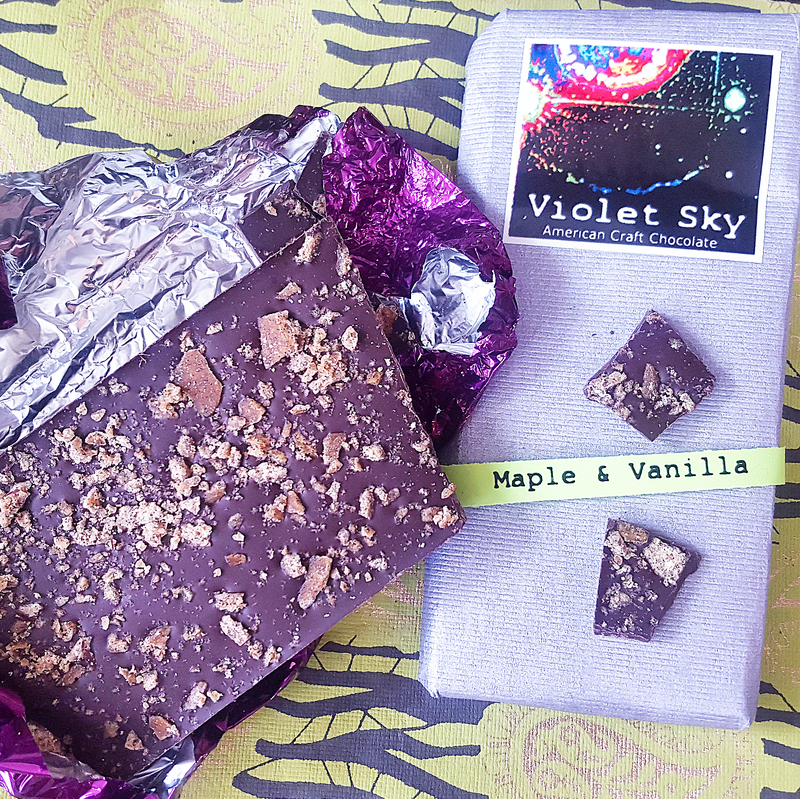 Violet Sky Chocolate impresses me with bold flavors, even when there are no flavors added and the cacao sings solo. When I tasted my first piece of a Violet Sky chocolate bar, I was standing up and had to sit down to experience the power of the chocolate without falling over, and to reflect upon the taste as it opened and developed! 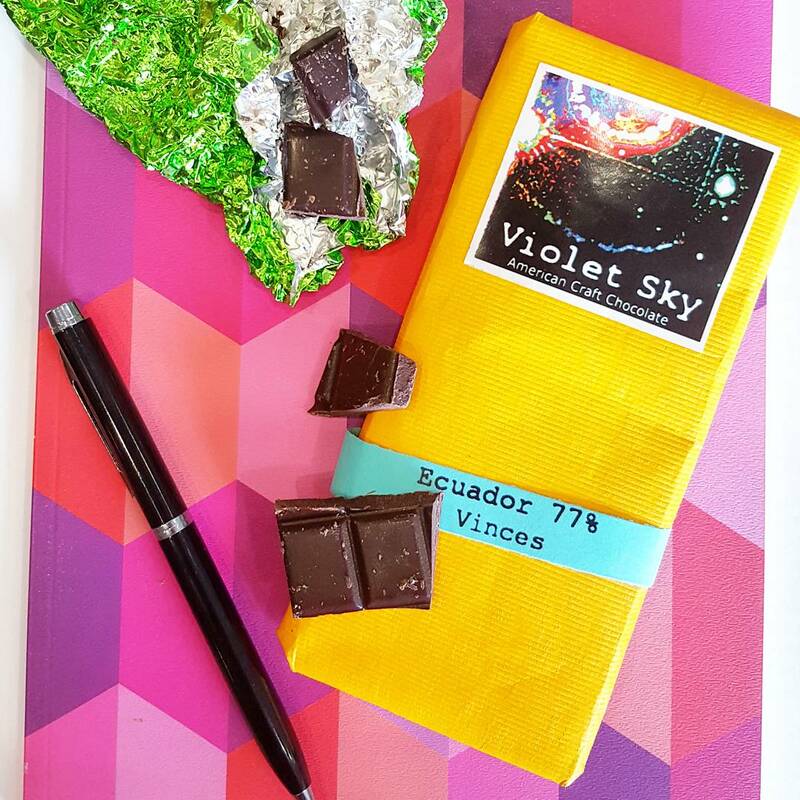 Indeed, Violet Sky Founder and chocolate maker Hans Westerink told me he chose the name Violet Sky because when you eat his chocolate, he wants you to slow down and notice the beauty that surrounds us. Hans is soft-spoken, empathic, and philosophic, and clearly has fun thinking about and experimenting with unique culinary ideas and tactics. 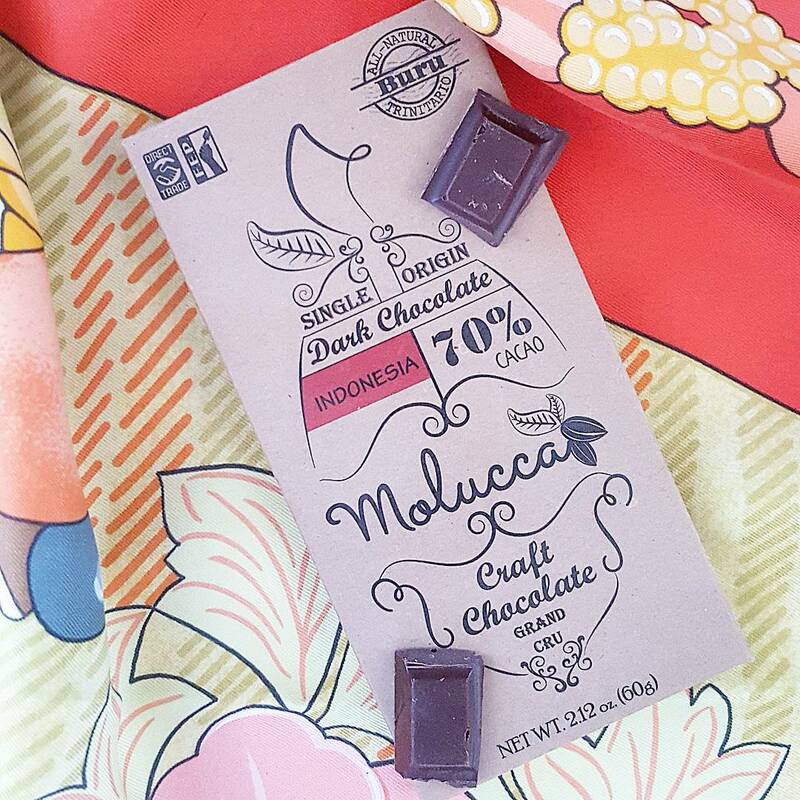 The cacao he selects sings a beautiful song, which Hans crafts, amplifies, and directs in the Violet Sky manufactory in sweet South Bend, Indiana, around 2 hours from Chicago. He lets his chocolate express art and nature, and creativity and purity, sometimes turned to high volume! For example, his rye barrel aged Haiti 77% chocolate bar with blueberry salt has deep complexity under an initial bold burst. He ages the cacao in a rye barrel from a local distillery, roasts the cacao in a coffee roaster, and the magic of his bean-to-bar chocolate continues underway. I’ve seen people at one of my tastings fight over who got to take home the rest of one of his maple vanilla bars. Don’t like maple? Don’t worry: the bar tastes like the best pancake brunch in chocolate bar form! And real maple, as we have here, tastes really amazing. 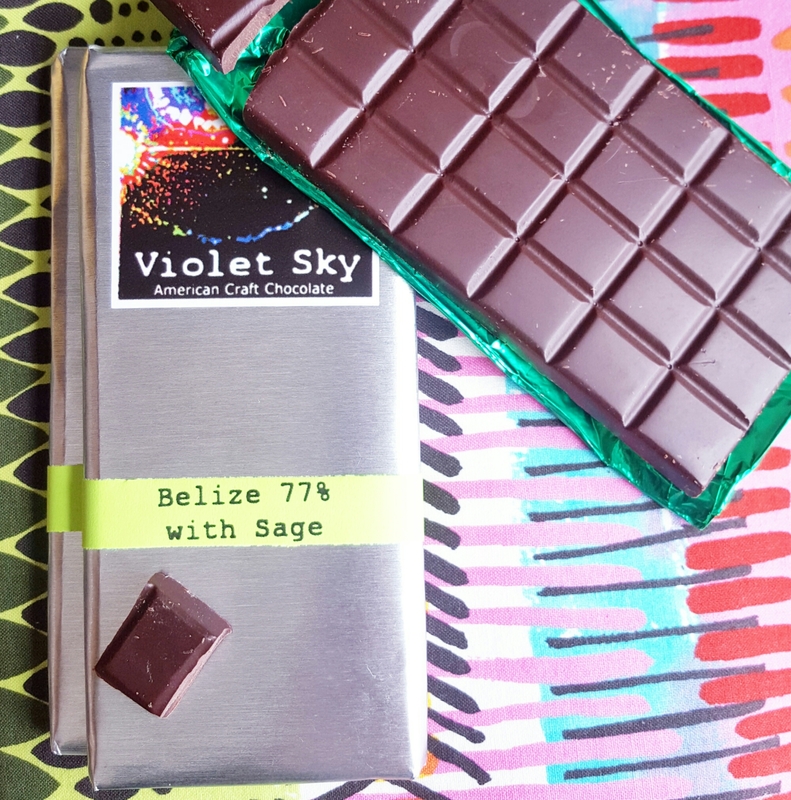 When I shared Violet Sky’s brandy barrel aged Belize red wine salt chocolate bar with a non chocolate lover, she instantly converted into a chocolate lover! And ate the rest of the bar! That’s the power of real chocolate. 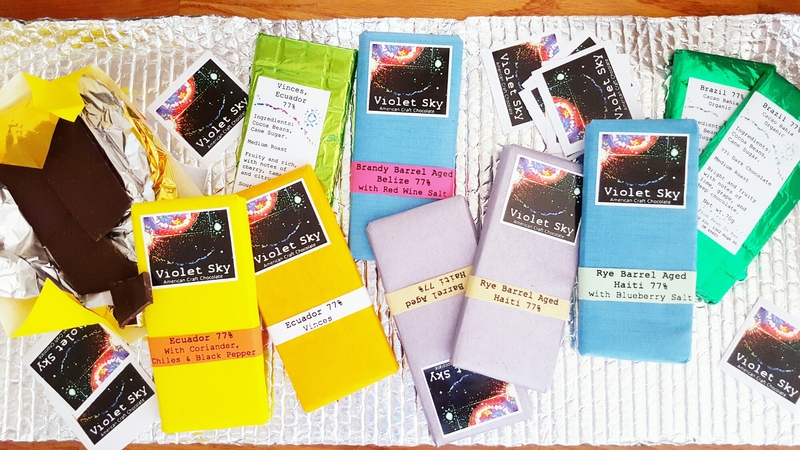 I selected Violet Sky for the very first run of my Chocolate Uplift craft chocolate subscription boxes, in November 2016, to enthusiastic feedback. Each box includes 4 chocolate bars, curated by me, and the bars are always sustainable and child-slavery-free, soy-free, small-batch, and scrumptious. 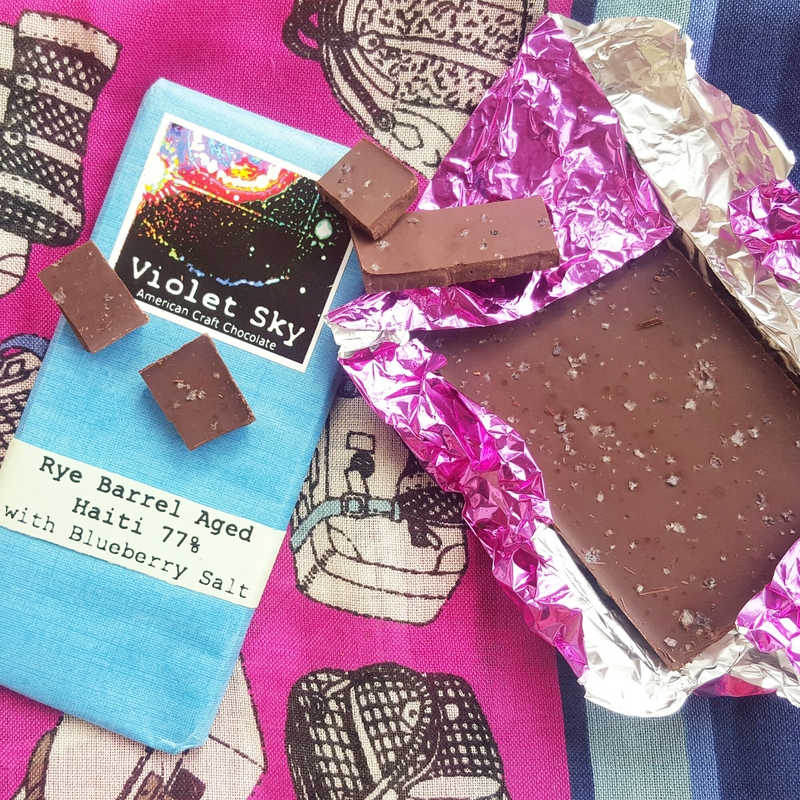 Click for my unboxing video featuring a Violet Sky bar! There was so much deliciousness from so many makers in 2016! Truly, more than ever! How to choose a winner among winners? 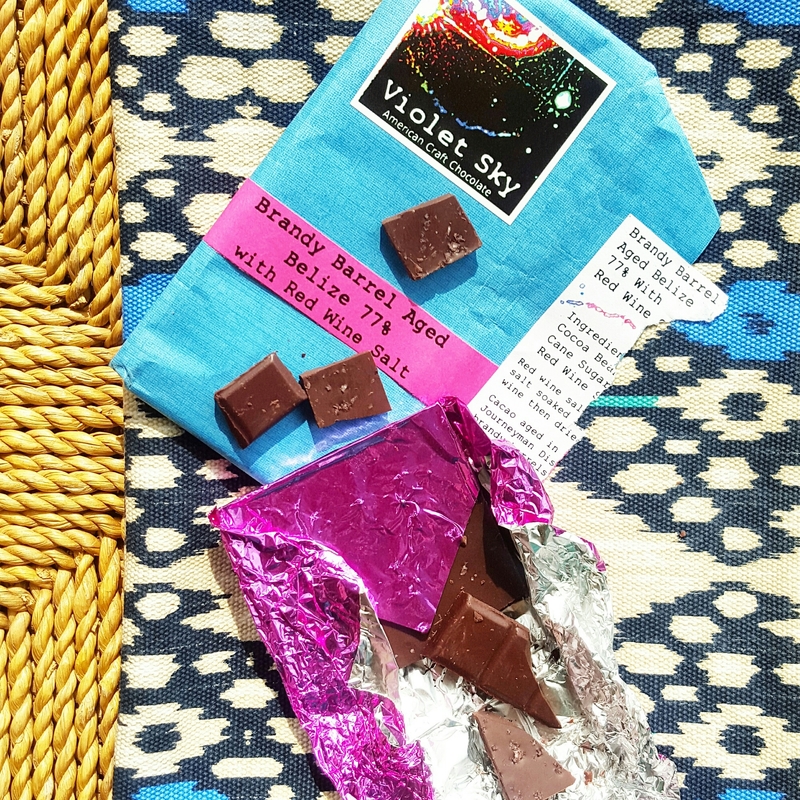 Delicious and sustainable origins, clean ingredients, and uniquely and distinctively bold and vibrant interpretations make Violet Sky Chocolate my Chocolate Bar Love of 2016! 2. 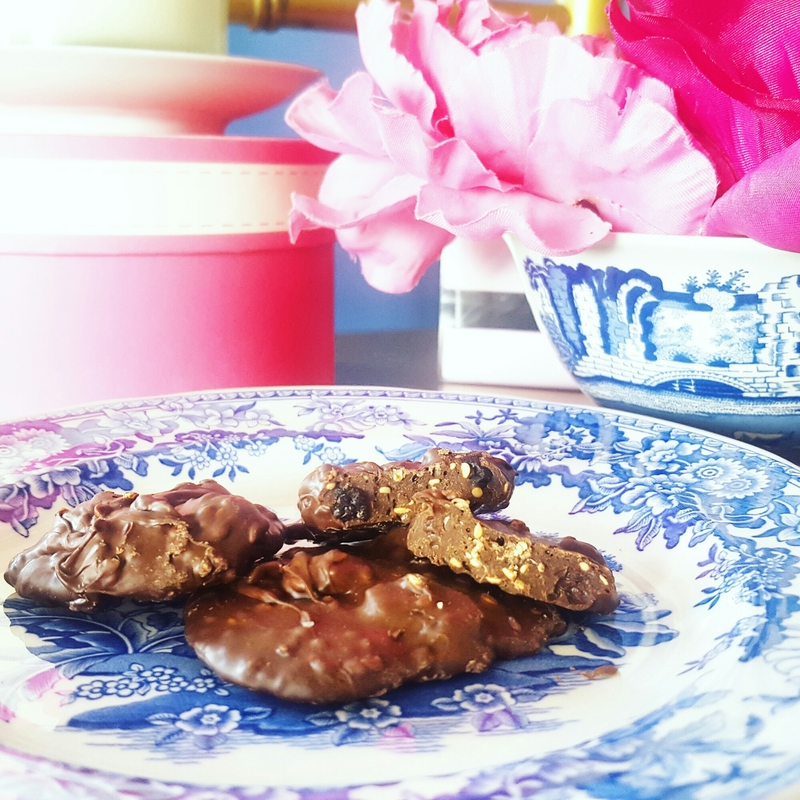 Chocolate Bonbon Love – click for my 2016 winner. 3. Chocolate Beverage Love – my 2016 winner is announced here. Want more now? 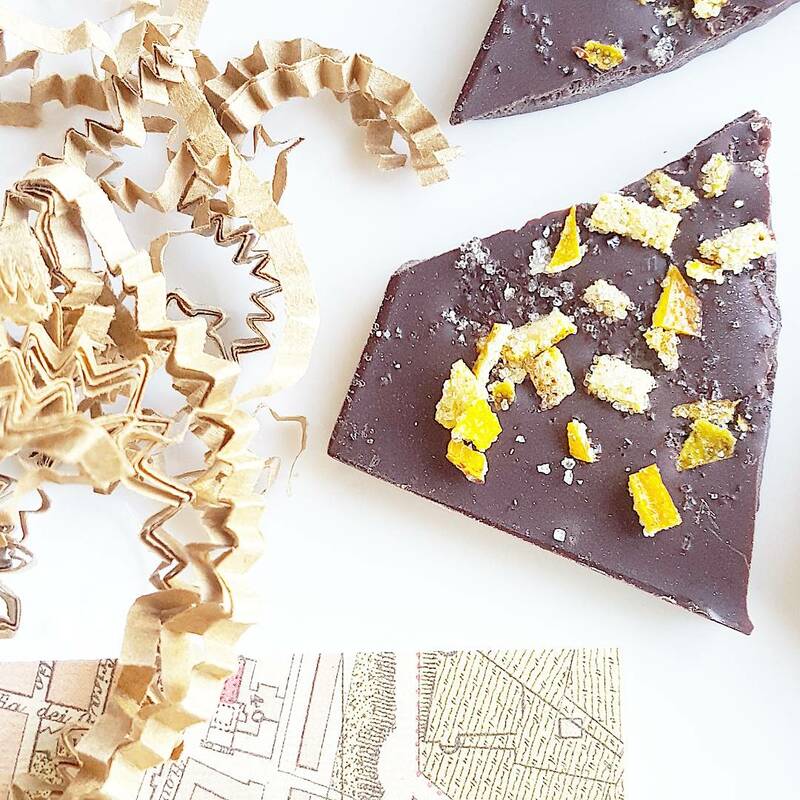 Check out my selected chocolate loves of 2015! Meanwhile, I wish you a happy and delicious new year as we start a 2017 filled with as much beauty, truth, and love as we give, create, and perceive! Thank you for your readership and business, and keep eating real chocolate! 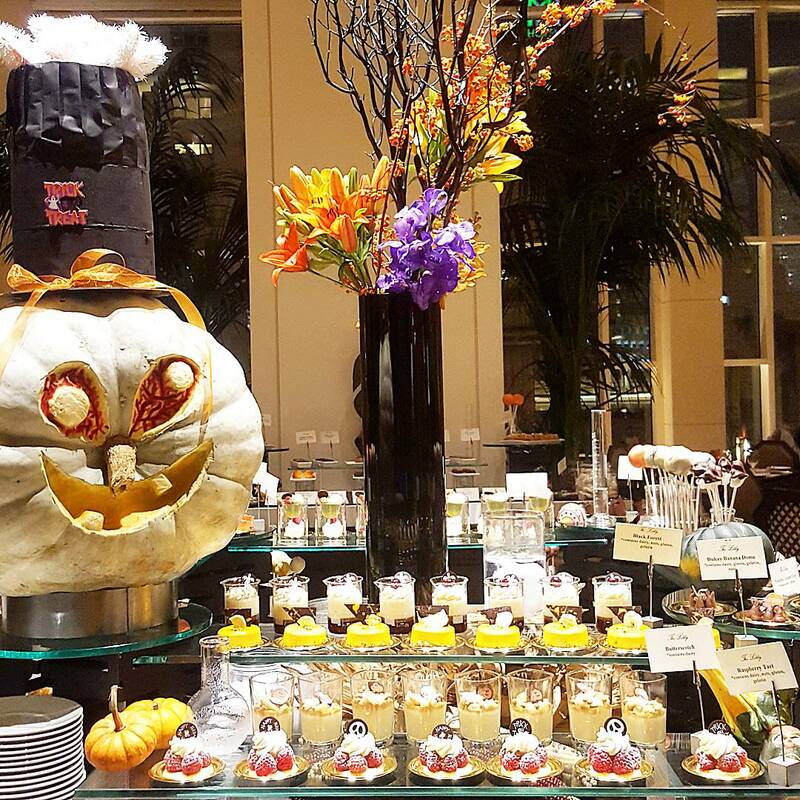 Have a happy and delicious transparent-trade Halloween! Thanks and keep eating real chocolate! We’re back, in secret beta pre-launch, and I’m excited! Valerie’s Original Chocolate Tours: we’re back, with classic and new elements, including a new name! 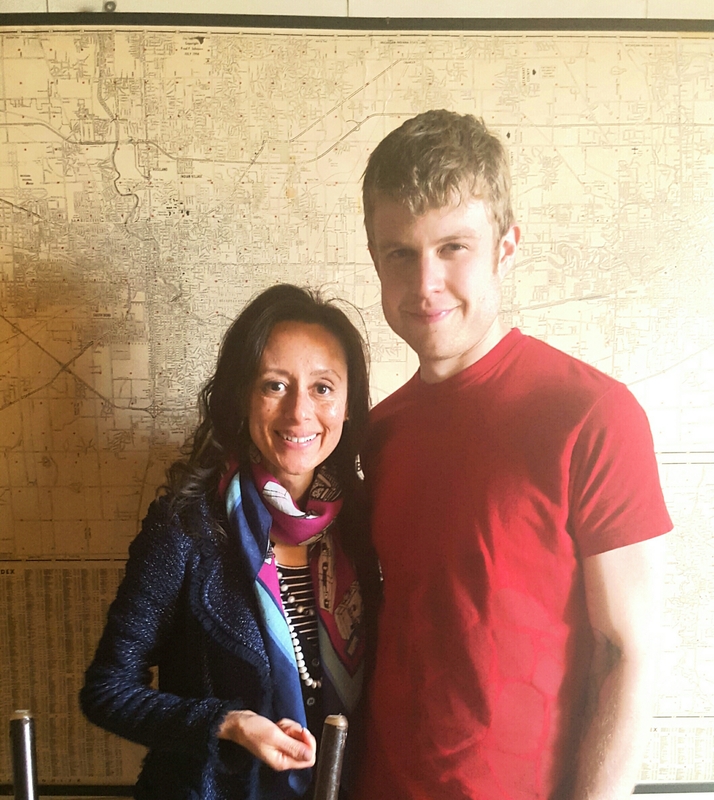 I founded the original chocolate tours in Chicago in 2005, from an idea I started in Paris before that at age 19 while studying abroad and enjoying fine French chocolate. After 2005, I grew the tour business across the US, and closed the doors of the business around 8 years later. 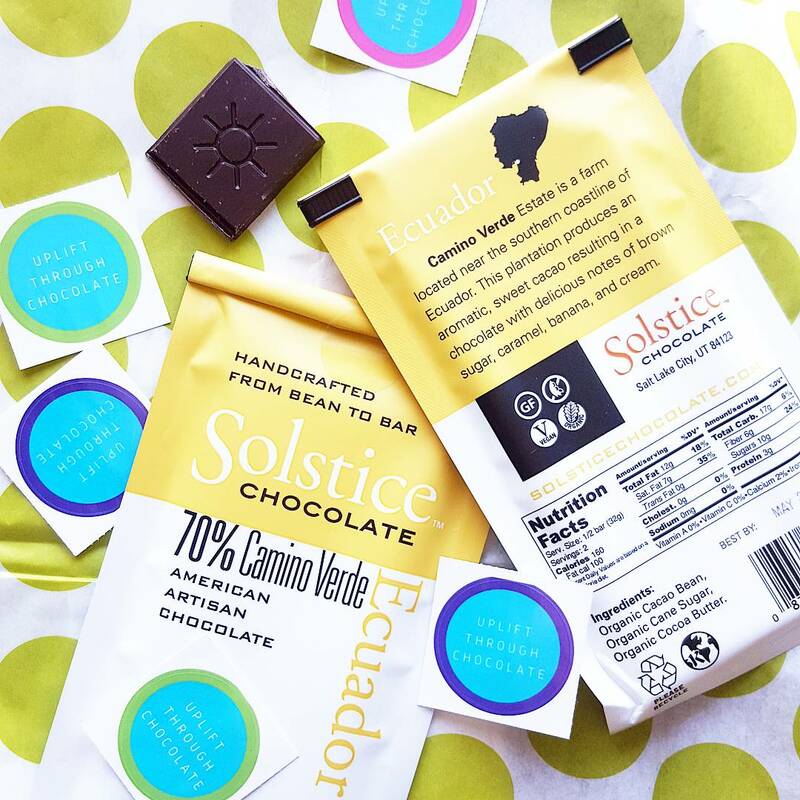 Then I went on a journey; really two journeys: I went even closer to the source of cacao by working with cacao growing nations, bean-to-bar chocolate makers, and others along the chocolate supply chain, as a volunteer, broker, and consultant. In addition, I deepened my inner journey through meditation. Haiti cacao, Haiti chocolate: experience the forefront of chocolate trends on Valerie’s Original Chocolate Tours. Now, the timing is right to reopen the tour business I love so much, with a new name, and some new elements. 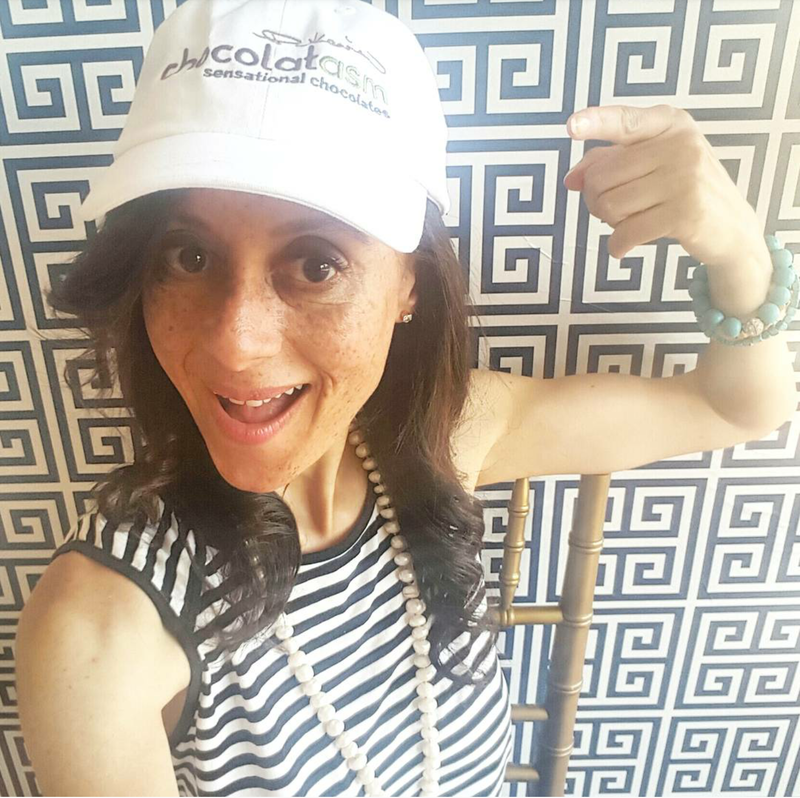 Valerie’s Original Chocolate Tours provides “Uplift Through Chocolate” to customers, vendors, social justice partners, and team members, with elegance, ethics, and enthusiasm. And we do it with delicious chocolate and pastry, through an entertaining and enlightening experience! 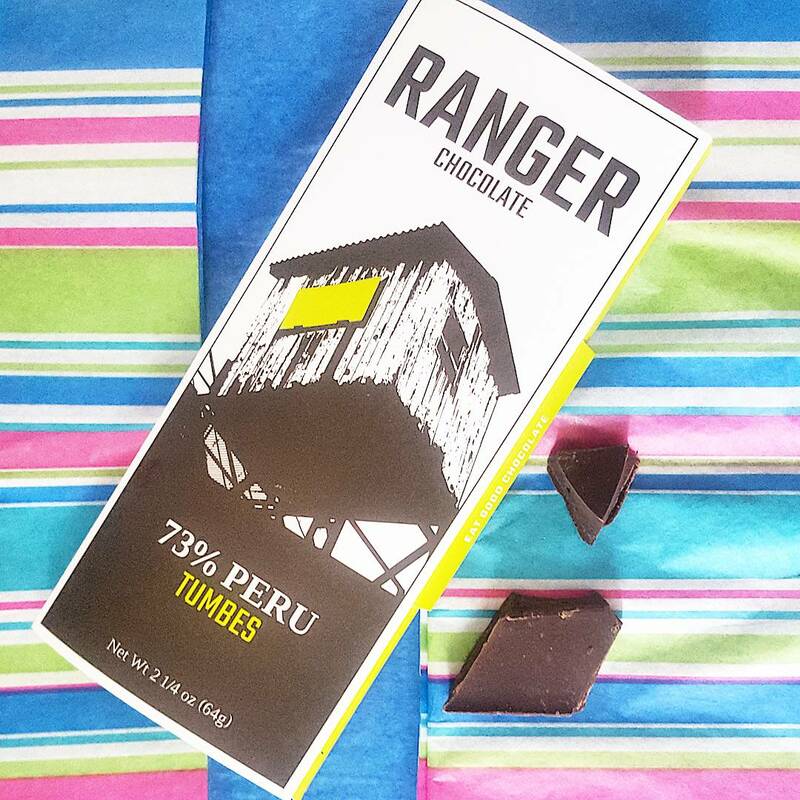 Real chocolate, really beautiful environments, real social justice: for every ticket sold, we’re buying a meal for a child in a rescue center for kids who’ve escaped the child labor cacao farms in West Africa that the big chocolate brands use. Buy a ticket for $50 at paypal.me/chocolateuplift, specifying your chosen day and location, and receive details. Plus: experience delicious innovations and surprises on the tours during beta season. I’m incredibly excited to invite you on this journey! Thank you for your business and belief! Join me for a magical experience on Valerie’s Original Chocolate Tours! Photo: The Uplifted. Uplift Through Chocolate! Do you remember the first time you tasted chocolate? I remember being 4 years old and letting my mom know that non-chocolate milk just wasn’t working for me. And I remember being 19 and tasting my first piece of truly fine chocolate, in Paris, and knowing that this was going to change my life. 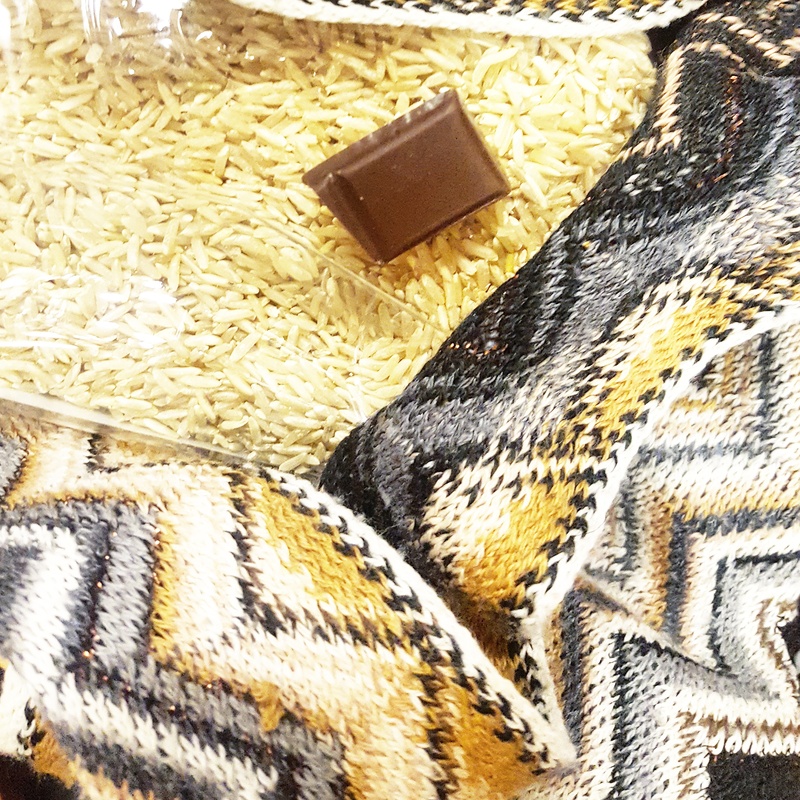 Tasting new chocolate can connect us to happy memories, and open the door to new adventures. I could have done the top 10 of each, and added pastries and confections and done the top 10 of each of those, and would still have had an outrageously difficult time narrowing it down from all of the amazing chocolate I’ve had the pleasure of tasting this year, in many different cities. Indeed, at one single event, World of Chocolate earlier this month, I tasted over 27 new chocolate creations as a judge! The craft chocolate revolution continues, and talented and hard working chocolate makers, chocolatiers, and chefs continue to innovate, which means a lot of fabulous chocolate to taste and enjoy. But this is a brief post on New Year’s Eve, typed on my phone, and so I’m sharing just a few favorite items here. 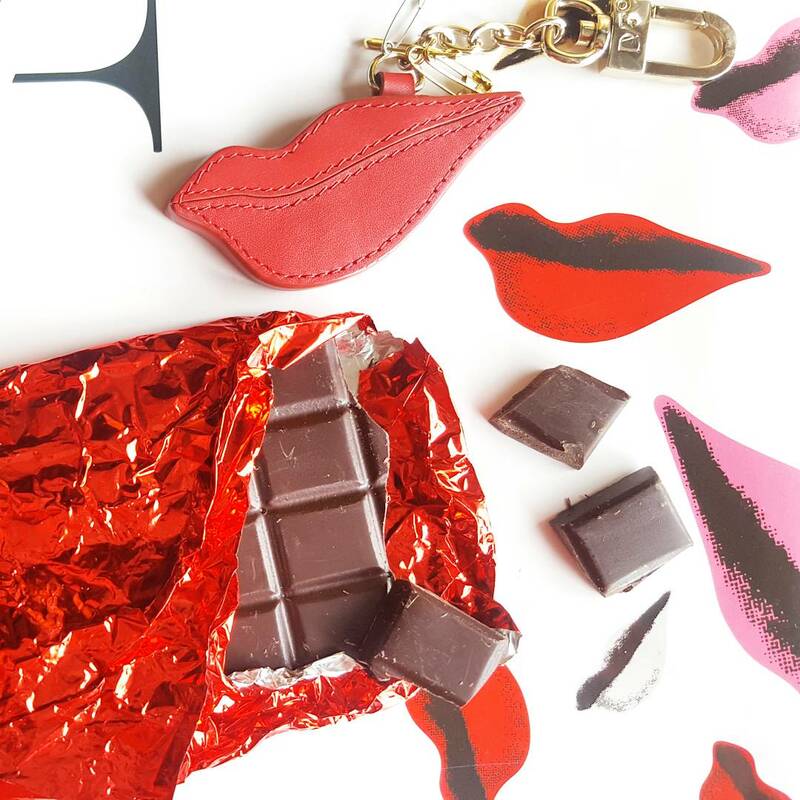 For more chocolate that I loved in 2015, see my instagram! Crafted from just two ingredients – cacao and sugar – Sirene Chocolate epitomizes the purity of bean-to-bar chocolate. Smooth texture and fabulous flavor, depending on the cacao origin, fermentation, roasting process, and grinding time, reveal the story that each cacao origin can tell, and reveal the artistry of chocolate maker Taylor Kennedy, from his chocolate kitchen in Victoria, British Columbia, Canada. I sampled Sirene for the first time this past year, at the Northwest Chocolate Festival in Seattle, and was instantly impressed. I then sampled Sirene to a group at one of my Chocolate Wellness talks, in Chicago, and it is no exaggeration to say that “the crowd went wild.” After the group tasted the fleur de sel chocolate bar by Sirene, they asked for seconds, and bought out the rest of my stock. When one audience member’s bars accidentally came home with me in my bag, I offered to drop them off to her the next day, but she preferred to come to my place and get them that same night. I would have done the same thing! This is a personal mini list, so here’s my personal view on hot chocolate: it should be rich, chocolatey, and simultaneously comforting and exciting. If it’s also single-origin, and made with just two ingredients (cacao and sugar), and tastes amazing in a vegan version made with water instead of milk (the traditional or ancient way to make chocolate is of course with water, not dairy), then it is truly special. The hot chocolate by Undone Chocolate is all of those things. I already loved Undone’s chocolate bars when I visited owner Adam Kavalier and team member Merrill Dagg at Undone’s kitchen in Washington, DC, this year. What a treat to see their chocolate-making equipment in action, with sacks and sacks of Dominican Republic cacao awaiting their turn to shine. When Adam sent me home with a tin of Undone hot chocolate mix I was grateful, and as soon as I tried it I was ecstatic. The flavor and texture are rich and luscious with water – no milk required – so that the hot chocolate tastes not like milk but like chocolate. Call me a purist because that for me is what hot chocolate should be. When I bit into a French truffle in Paris at age 19, I knew it was something exquisite. When I bit into a Batch PDX truffle earlier this year (see my June 2015 blog post), I knew it had the same level of precision, flavor, and magic that had captivated me in Paris, only this time the truffles were made in Portland, Oregon. Chocolatier Jeremy Karp sees himself as a craftsman, and indeed crafts bonbons of beauty and balance. I also see him as an artist, because he sculpts with flavors and textures, telling a story of contrast and compatibility with spice and passion fruit, for example, enrobed in white chocolate for additional magic. These glimpses of magical chocolate experiences energize me for amazing chocolate experiences in the new year and beyond. Celebrating my 2015 birthday – December 10 – at Miss Ricky’s in Chicago, with chocolate cake topped with a chocolate knife bonbon filled with chocolate caramel!